The club run three walks every Saturday - A or B+, B, and C.
If you are new to walking you can start on the C walks and work your way up to the A walks if you need more challenging exercise. There are two walks. 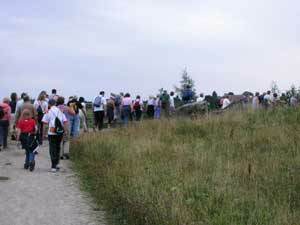 One walk is 5 miles every week and the other walk alternates between 10 or 12 miles. Evening walks round the Wakefield area run on alternate Tuesday and Wednesday’s in June and July and are 4.5 to 5 miles, all walks start at 7pm prompt. Walking time is approximately 2 hours. Grading walks is very difficult because everyone’s perception of what is an easy or hard walk is always going to be different. Some people just look at the mileage, but the terrain and speed of the walk are also very important. 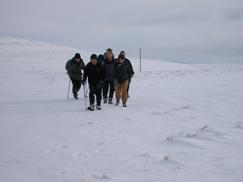 To help you decide on your capabilities the Walks Co-ordinators and walk leaders will attempt to grade the walk using all three criteria. 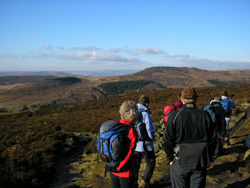 It is possible that the leader has not walked the route prior to publication of the walk schedule and is unable to grade the walk at this stage. 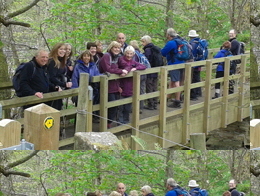 If you require a walk grading before deciding to attempt a walk and there are no details on the programme, please contact the walk leader for information. 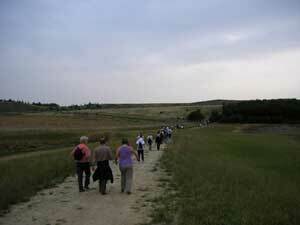 Click here for a full description of the club walking guidelines.